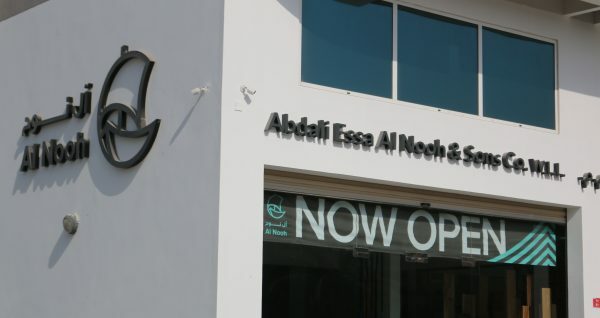 Established in 1952, Abdali Essa Al Nooh & Sons is one of Bahrain’s oldest and most trusted companies. Specialising in the supply of high quality building materials and services, we have built a reputation second to none spanning more than 65 years of innovation, growth and customer satisfaction. Our vision is to make it easier to build better. From our state-of-the-art factory in Quraya, Al Nooh Cut & Bend use the best and latest equipment to provide cut and bent steel to our clients’ exact requirements with minimal wastage. We also provide simple and effective solutions to even the most complex construction issues and offer turnkey consultancy services that help clients realise their projects easily and efficiently. The sole partner of world-renowned Erico, we use their Lenton taper-threaded mechanical rebar splicing system, which allows us to offer our clients not just a better way to design and build, but also substantial economic advantages. Tested and approved throughout the region and the world for nominal values up to 550 MPa and tensile strength values up to 750 MPa, it sets the international standard and has been used in many prestigious projects around the globe, including the Bahrain-Saudi Causeway, Durrat Al Bahrain, Reef Island and many others. We pride ourselves on working closely with our clients to understand their needs and deliver exactly what’s needed. We review and analyse structural drawings and determine the most efficient quantities of reinforcement steel needed. Then we use our sophisticated software to precisely plan and schedule the whole production process from start to finish. We also run a large fleet of mobile and fixed cranes, forklifts, trucks and trailers and we can deliver any material anywhere at any time. Al Nooh Industrial Services provides carbide tipping and sharpening for all kinds of tools and blades. Working to the most rigorous safety standards our highly trained workforce use the latest technology and equipment for sharpening, tooth repair, shaping, welding and grooving. Our machines are fully automated, including state-of-the-art computerised grinding machines for sharpening and high frequency brazing equipment for carbide tooth tipping. Using advanced technology, processes and equipment, Al Nooh Fencing manufactures and supplies high quality PVC coated galvanised chain link fencing and barbed wire for a wide range of applications in education, industry, military, tennis courts, swimming pools and more. We produce standard ranges of fencing and barbed wire and can also work closely with clients to supply custom products that precisely fit their specific needs. In our modern production facilities, we manufacture a range of types and sizes of plain and corrugated sheets. We corrugate aluminium sheets and hot-dip galvanised steel sheets as well as galvanised iron (GI) sheets pre-painted in a number of different colours. We also supply fibreglass sheets with a powdered white or clear finish for use in roofing. All these sheets can be supplied in different thicknesses and in any length up to 12 metres, while the standard width after corrugation is 105cm. Our most popular product, the pre-painted GI sheet, is available in cloud white, beige, blue, or with a galvanised finish. For fencing and light applications we produce sheets from 0.32mm thickness, while for roofing and other purposes we recommend 0.5mm. Highly resistant to temperature fluctuations and with high bending and bearing capacities, Al Nooh plain and corrugated sheets have a lifespan of over 40 years. 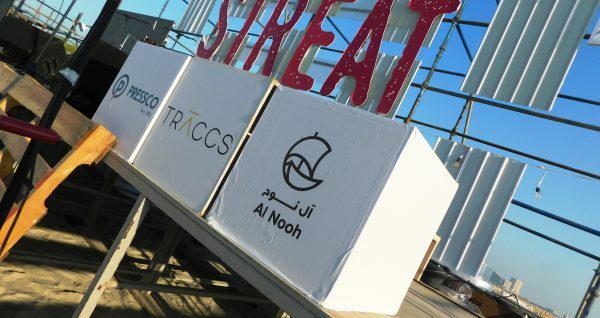 One of Bahrain’s leading wood interior companies, Al Nooh Wood Design has worked with some world-renowned and prestigious names, including Piaget, Costa Coffee, DQ, Shoeciti, Yara Clinic and BJC at the Four Seasons Hotel. We specialise in wooden interiors, offering exciting and innovative design solutions implemented with the highest levels of care and craftsmanship and the most precise attention to detail. Our designers are talented, experienced and totally passionate about what they do. Working with the latest technology, they know how to bring out the sheer beauty of wood with stunning and original design solutions. 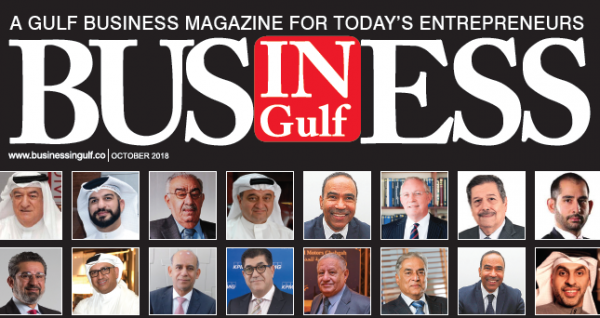 Al Nooh – Global Again!!! Once again, Al Nooh and its rebranding exercise has been recognized globally in the REBRAND 100 Global Awards. 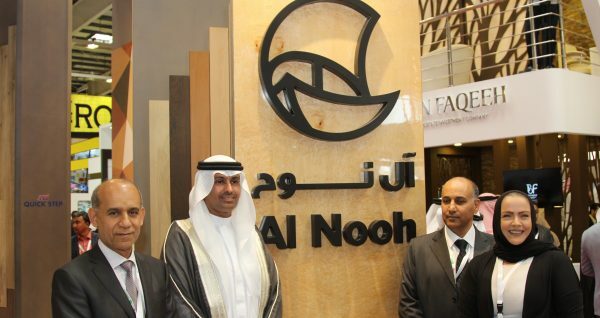 As part of Al Nooh’s social responsibility we are proud to be a part of giving back to the community. – Ayadi Relief is a Bahraini relief youth-led organization. Their aim is to provide relief to poverty stricken countries and help with their education and social needs. 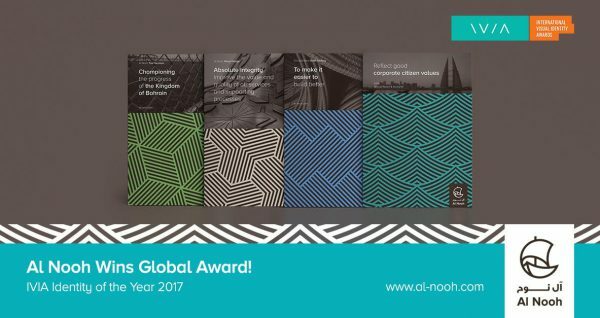 Al Nooh recently won top prize – an international global award for International Visual Identity of the Year in the IVIA 2017 (for more information see below links). The competition included entries from 25 countries across 6 continents, with 20 categories from a great mix of agencies, individual designers, and corporates. From the 20 categories Al Nooh and our new visual identity won the overall prize of International Visual Identity of the Year. We’re proud to announce that Al Nooh was awarded the best stand design in the Gulf Expo, 2017. Our design was a combination of our product offerings as well as showcased our craftsmanship and design capabilities. Al Nooh wins in the Transform Awards MENA, held in Dubai on the 17th of May, 2017!! 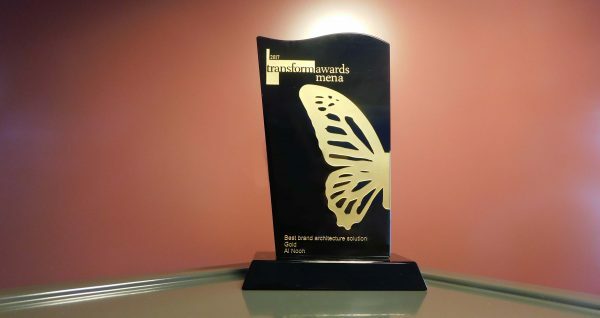 We are pleased to announce the following 2 awards at the Transform Awards: Brand Architecture – Gold & Visual Identity – Silver. As our company has expanded over the past 6 decades, our Corporate values have sustained and shaped the organization to remain one of the oldest and most trusted companies in our industry. We will continue to grow and transform based on market demands. Our rebranding and the accomplishment of winning the awards are a testament to our commitment of continuing to grow, be relevant and move forward. We are pleased to announce the opening of our latest branch in Tubli. The objective was to introduce a modern concept of building materials and design to capture the attention of a new generation of potential clients while targeting the walk in customer base. The branch is open, clean and spacious in it’s design where we have highlighted our products in the various design elements. We welcome you to stop in and enjoy the latest Al Nooh experience. Al Nooh participated in the 2017 Gulf Construction Expo – April 25th – 27th, 2017 where we celebrated 65 years of business and revealed the new Corporate identity . We were honored to have HRH Sheikh Khalid Bin Abdullah Al Khalifa unveil the new logo at our stand. A.E. 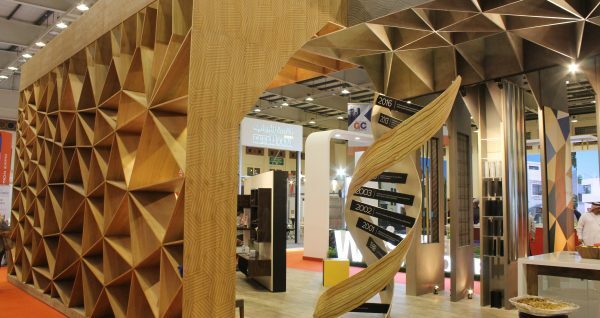 Al Nooh & Sons together with Al Nooh Wood Design designed the stand to use both our products as well as our craftsmanship within the design of the stand so that the audience experience would be one of an end to end design, construction collaboration. The reaction and feedback from the expo attendees was extremely positive and the business has been able to capitalize on the opportunity and exposure. We thank all of those who were able to attend the event. © Abdali Essa Al Nooh & Sons.co. W.L.L.